With the green unplayable for the original date, Tournament Day was put back a week and combined with Greenkeeper’s Day. As such, 28 members took to the green in beautiful sunny weather, more akin to a summer’s day than the first of October. A bottle, kindly donated by Tommy Pender, Vice-President, was awarded for the bowl nearest the ditch before the first game. This was won by Davie ‘Lucky’ Lang. The traditional pies and bridies were served by Billy Murray Snr after the second round of games. 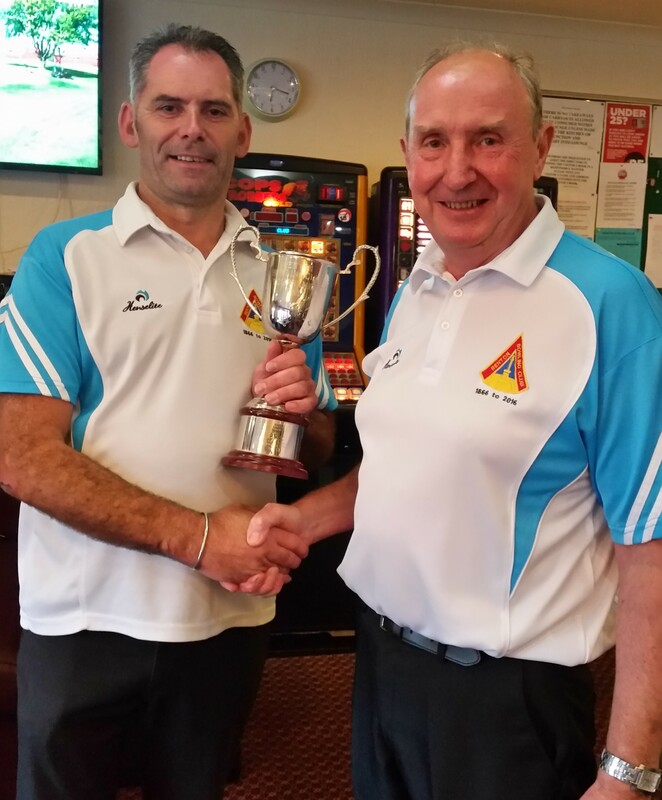 David McCarry announced the winners and President Ronnie Jardine made the presentation. 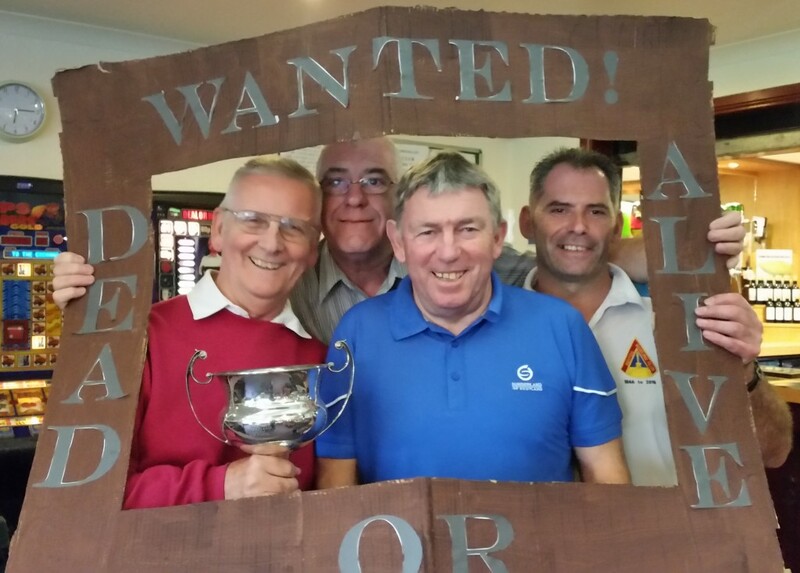 As has been the custom in recent years there were 5 top prizes, 5 steak pies and a booby prize. 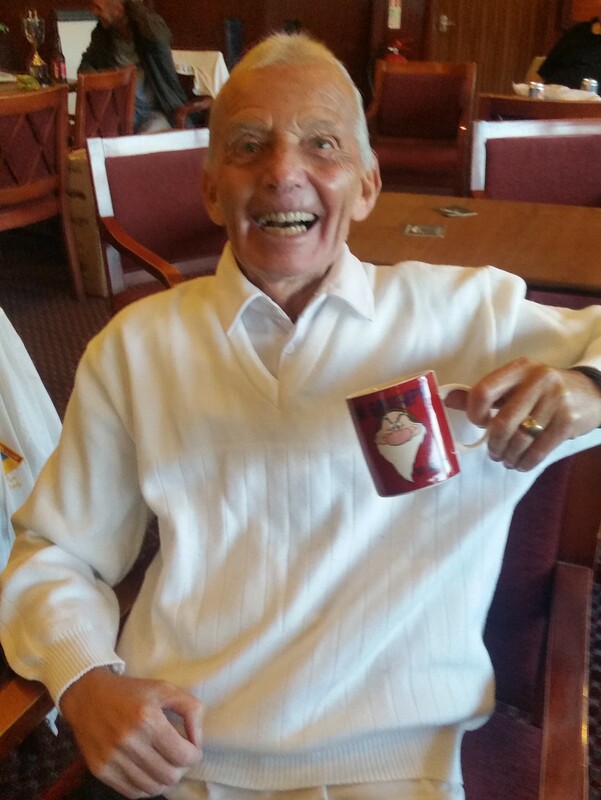 Arthur O’Hare proudly picked up the ”I’m not grumpy” mug with his score of 0 points -25 shots! Peter Donnelly capped off an excellent season by also winning the Greenkeeper’s Cup along with Frank McCarry, John Brodie & George Lunan (s).